With the launch of the BetteLux Shape bath in 2015, Bette introduced a new type of electronic waste and overflow system called BetteSensory, which removes the need for a visible bath overflow. Bette teamed up with drainage experts Viega, to create the BetteSensory, which allows the smooth Bette enamel to be enjoyed without being interrupted by an overflow. Developed specifically for the BetteLux Shape bath, it can now also be fitted to baths in the BetteLux, BetteLux Oval, BetteArt, BetteFree, and BetteOne collections, as well as all Highline and Silhouette designs. The BetteSensory also makes it easier to clean the bath as there is no overflow outlet to clean around. The BetteSensory has been developed to ensure that, even without an overflow, the bath cannot be over-filled. The water column in the bath is constantly monitored electronically and, If the water pressure exceeds a defined level, a valve opens the waste for a few seconds, regulating the amount of water in the bath. 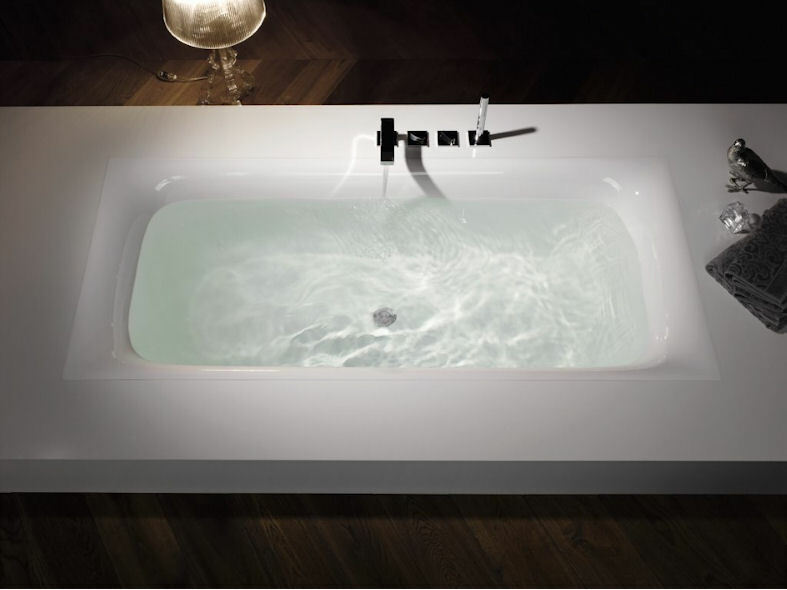 The minimum and maximum water levels are pre-set during manufacturing, but can also be adjusted when the bath is installed, depending on customer preferences and the height of the bath. The sophisticated design of the electronically regulated waste and overflow system also ensures that water drains away safely, each and every time. Soap scum, foam and hair have virtually no chance of getting stuck. Pressing the valve cover lightly enables the water to be drained away manually when required. Pressing the valve cover again shuts the valve. The innovative system is installed beneath the bath, hidden from view. The fittings are delivered pre-adjusted to fit the specific bath design, allowing installation to be carried out as easily as possible. BetteSensory operates via a connection to an electric power supply, and also has a back-up battery to tide the system over safely during a power cut.